Bird song identification can be overwhelming, especially when you're a beginner. But there are plenty of audio resources out there to help you learn songs much easier. 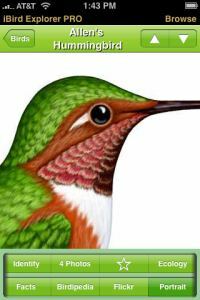 There are Bird ID cd guides by Peterson, Audubon, Stokes and others. Below are some of the better audio guides for bird songs that are easy to use. Some include songs for birds in North America while others focus on a specific region, like Western or Eastern bird songs. It's nice to have the songs with you when you're in the field trying to identify a bird, so you can either carry a portable CD player (old school or even older - cassette player!) or transfer the songs over to a mp3 player, like an iPod, or use a Birding App on your iOS or Android device. Best Birding Apps for iPhone, iPod Touch, iPad and Android. Our personal favorite is the "Birding By Ear" CD series. It groups bird songs by similarity such as sing-songers like robins, tanagers and vireos or trillers like chipping sparrows and juncos. I used the Western version when I moved out west and needed to learn songs for a job doing bird counts. Swainson's Thrush: Disk 2: track 9: time 1:45. The booklet also gives habitat and voice descriptions for each bird. 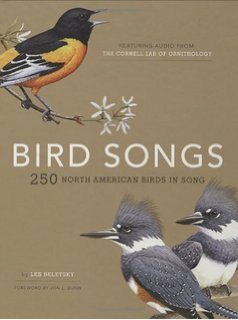 You can listen for free to some common Bird Song audio files from the Cornell Lab of Ornithology Macaulay Libary. Use the search box and then choose "audio" from the drop-down menu. Don't get too discouraged with bird song identification, enjoy your time outdoors and, of course, your bird watching bliss! Bird Identification - Tips and questions for identifying birds.